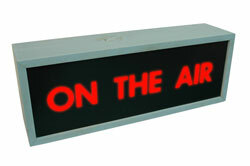 Other Services such as Radio Commercials and Presentations - Send us your script for a quote! Our goal is to provide you the quality audio presentation you need at an affordable price. You can feel good about paying less! We offer only the highest quality sound recording. Our professional voice talents have years of experience doing voice over recordings for TV and radio, and they use only the highest quality sound equipment to ensure you get the best possible sound quality. Give your website another dimension! Capture and hold the attention of your audience with a professionally recorded website audio narration! Imagine your customers and clients eager to learn about your product, or enjoying your website presentation. That's what can happen when you join professionally recorded audio with your already professional visual presenation. Send us your script for a quote! Why make yourself or your employees fumble through a long drawn out audio presentation of mediocre quality when you can it done by a professional voice talent recorded in a studio! 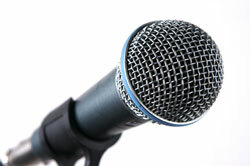 Your visual presentation is professionally done, why not your audio presentation! At Professional Voice Greetings we are happy to provide website audio starting from just $99.99. Purchase by going to the Voice Samples page, select a voice (and background music if you wish). Then send us your script and voice selection and we'll send you a quote. Professional Voice Greetings is pleased to offer voicemail blast recordings! Voice broadcast recordings can be delivered in any non-proprietary format you desire, and we will work with you on recording length to make sure you don't have costly over-runs. Purchase by going to the Voice Samples page, select a voice (and background music if you wish). Then Send us your script and voice selection for a quote. Please do not order your voicemail broadcast as a regular voicemail greeting.